418 pages | 13 B/W Illus. 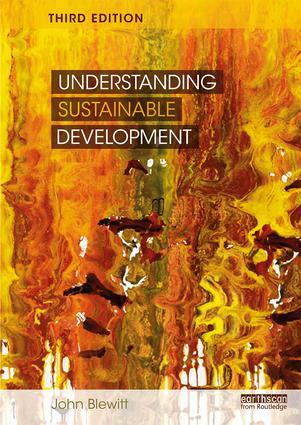 A truly comprehensive introduction to the topic, Understanding Sustainable Development is designed to give students on a wide range of courses an appreciation of the key concepts and theories of sustainable development. Fully updated, the third edition includes detailed coverage of the Sustainable Development Goals and their impact on global development. Major challenges and topics are explored through a range of international case studies and media examples which maintain the ‘global to local’ structure of the previous edition. With an extensive website and pedagogy, Understanding Sustainable Development is the most complete guide to the subject for course leaders, undergraduates and postgraduates. John Blewitt is the Director of the MSc Social Responsibility and Sustainability, Aston Business School, Aston University, UK.